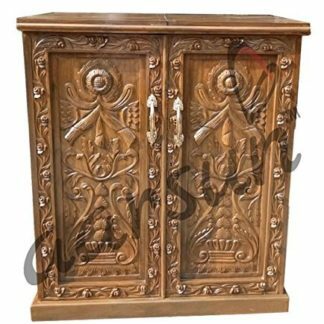 Aarsun Woods brings to you the handmade wooden bar cabinet / Wine Rack made up of very fine quality Teak wood and beautiful floral pattern carving at the front. 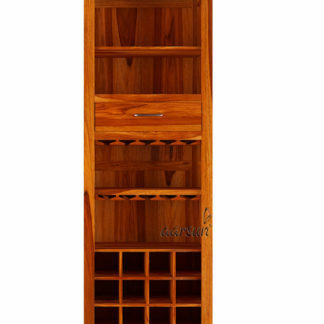 At the back of the wooden bar cabinet there is shelves to place all your wine bottles and your wine glasses. 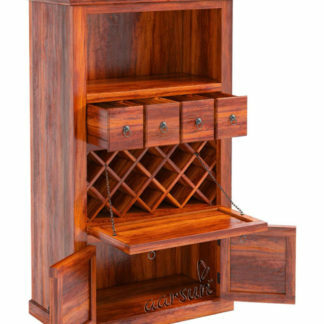 This Wine Bar Furniture gives very traditional and elegant look and add more classic touch to your home. Best suitable for home. 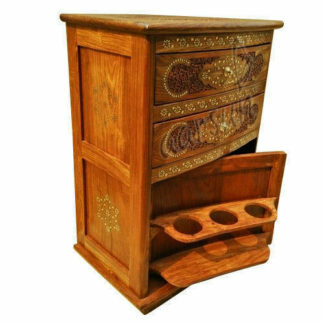 As we are the manufacturers unit can be customize as per the requirement of the customer .